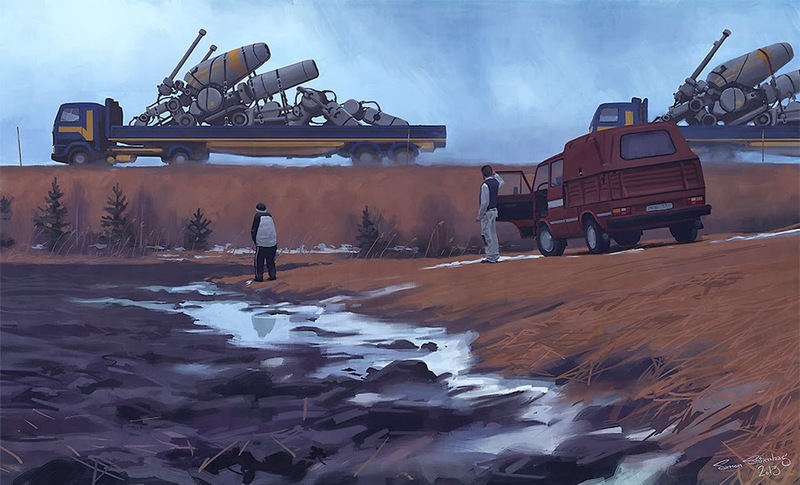 Welcome to rural Sweden, sometime in the late '80s. 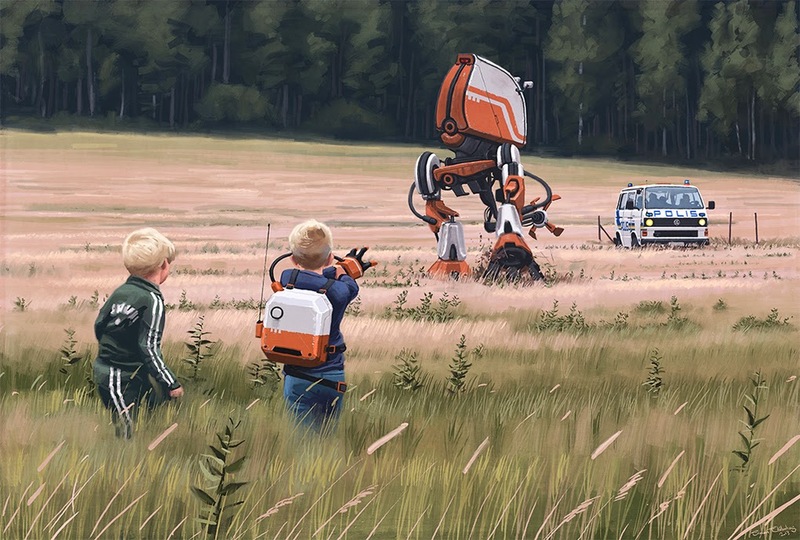 Citizens go about their mundane lives and children explore the countryside. 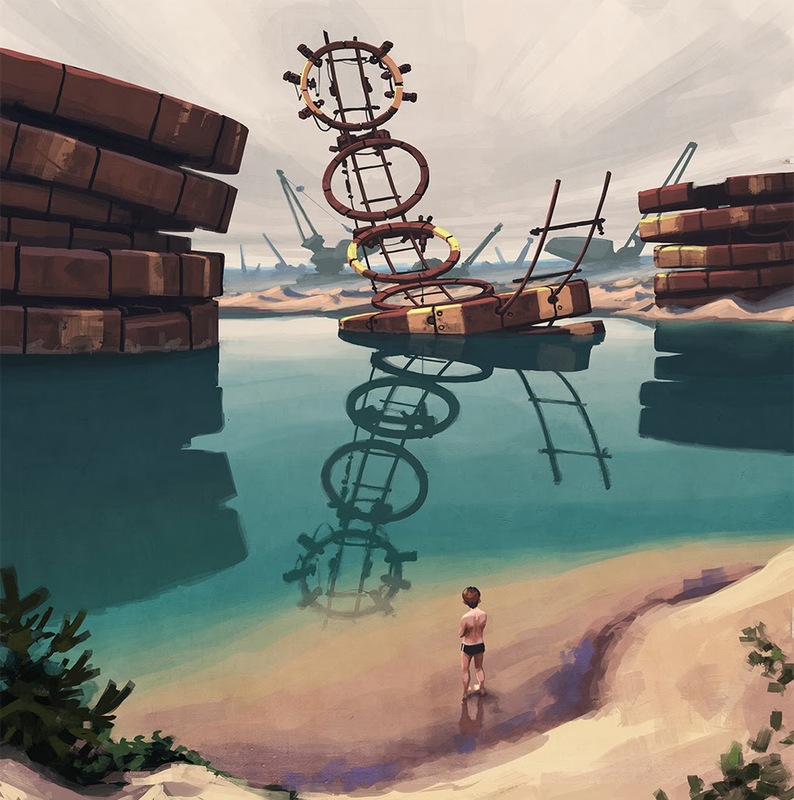 But something isn't quite right. 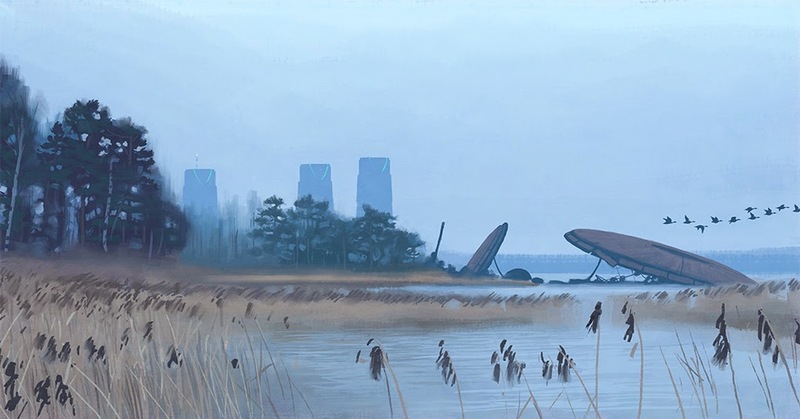 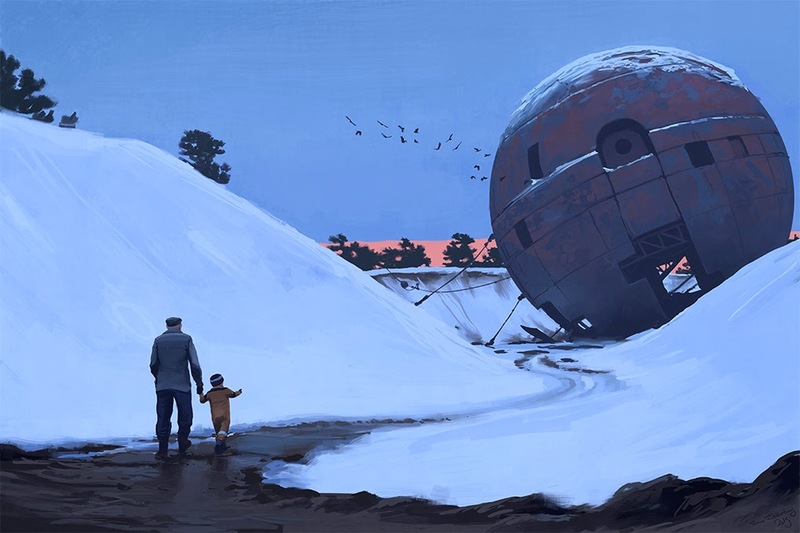 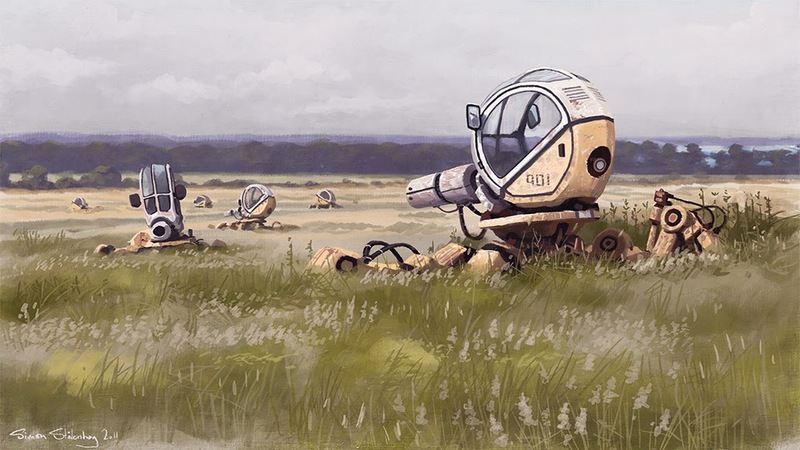 Robots and hovercrafts are commonplace, and decaying science facilities sprout from the harsh Scandinavian landscape. 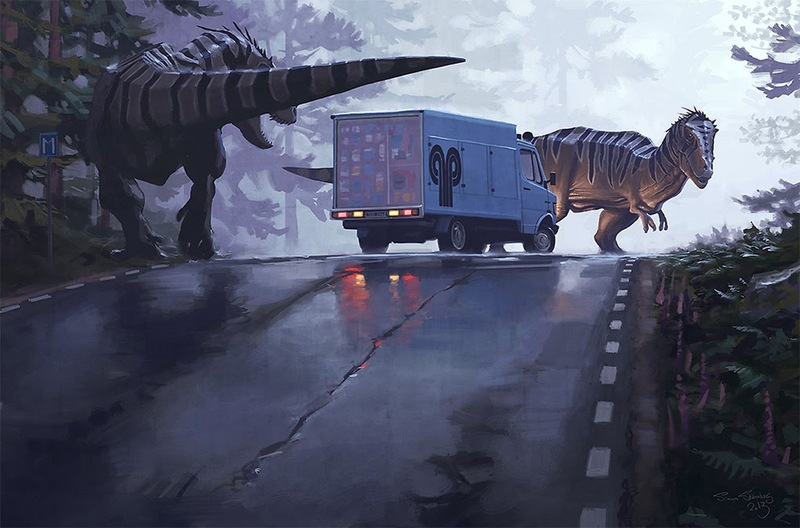 There's even a rumor circulating that dinosaurs have returned from the dead after some failed experiment. 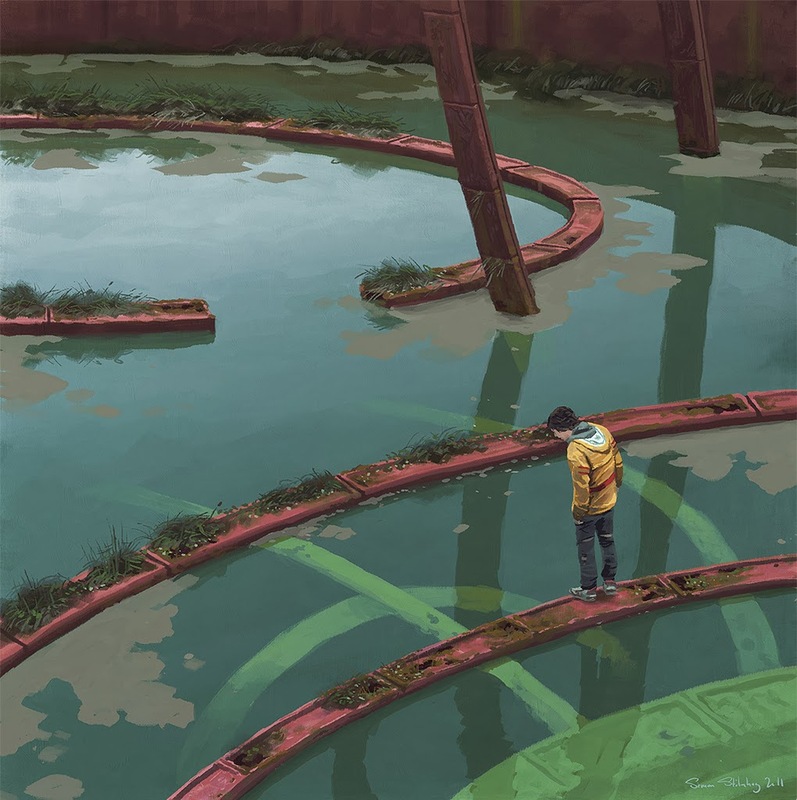 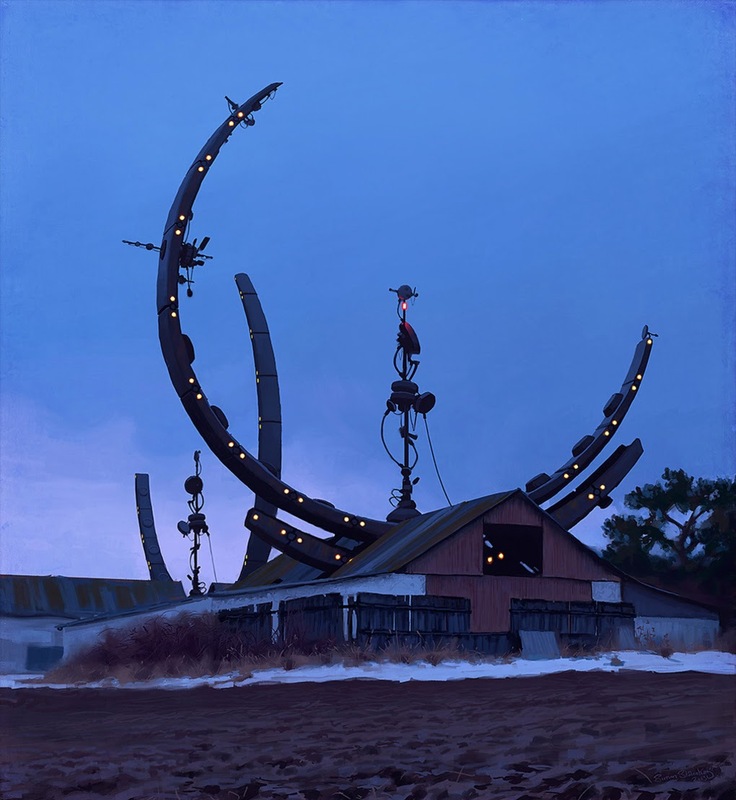 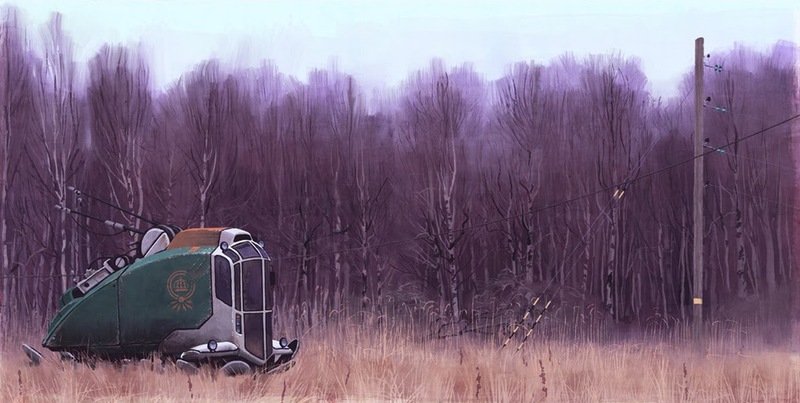 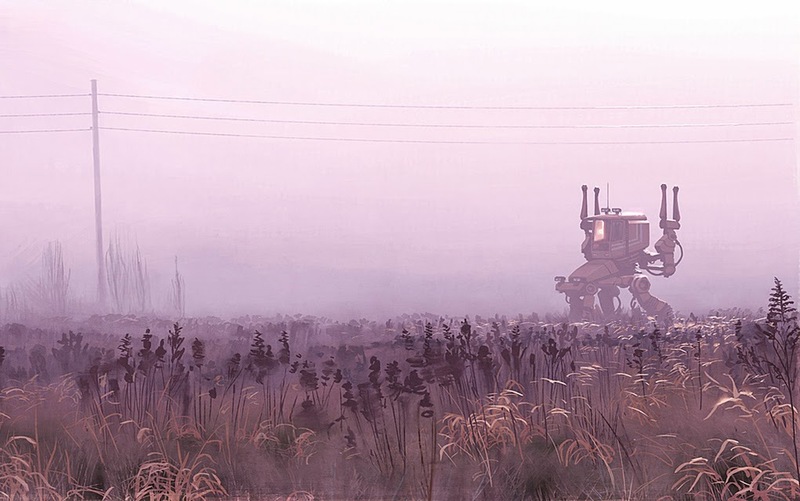 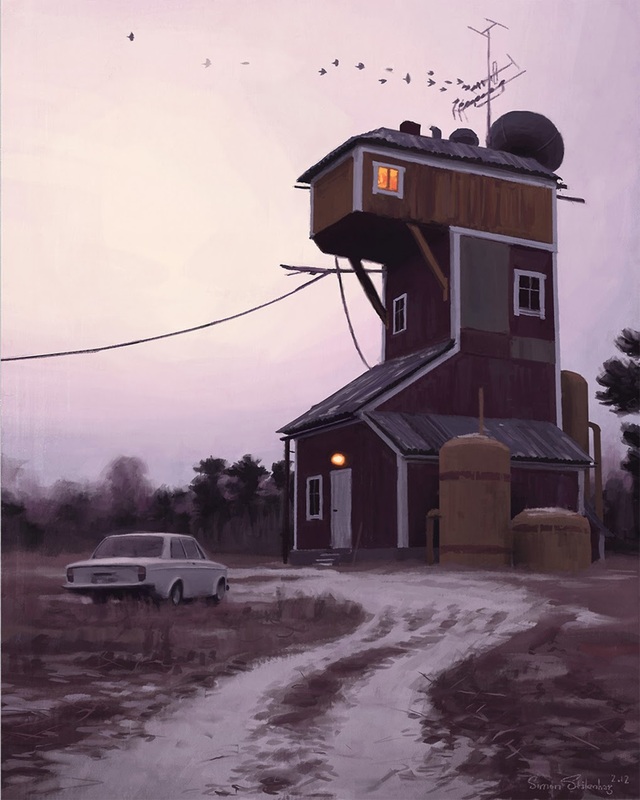 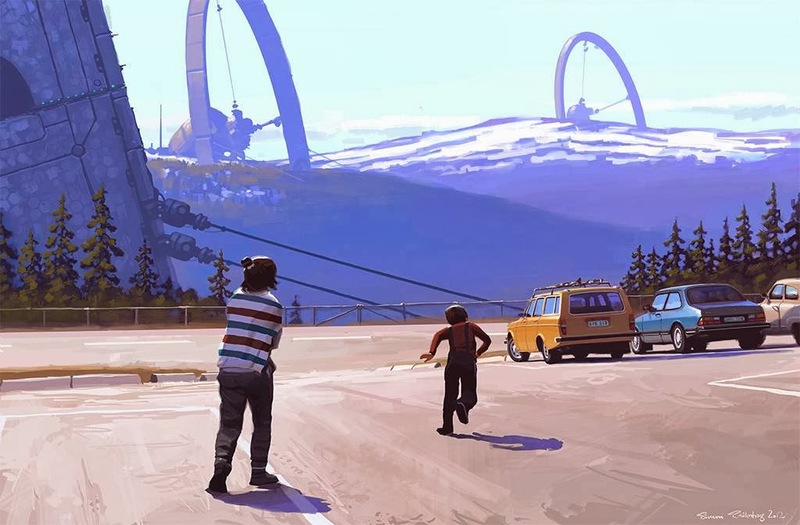 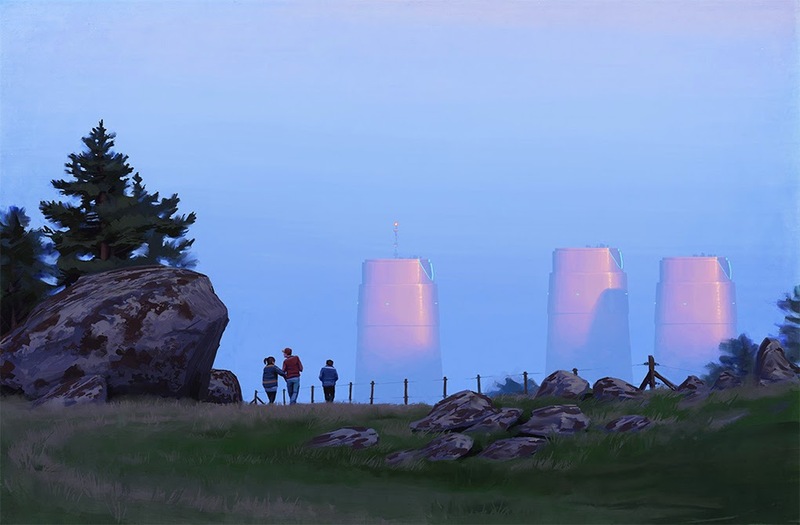 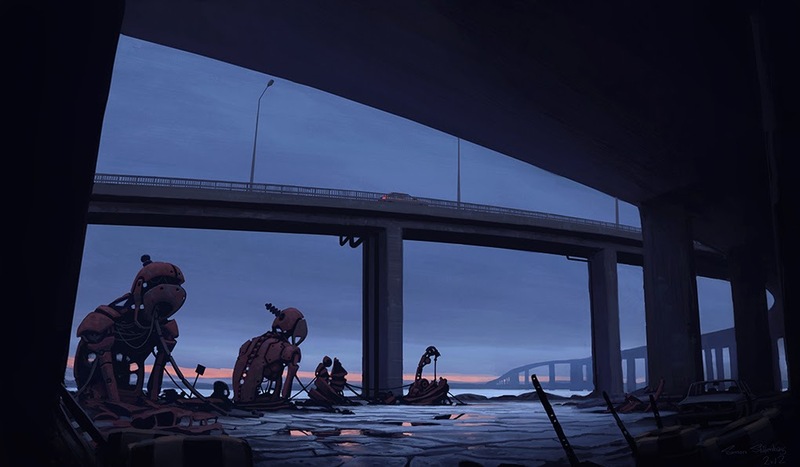 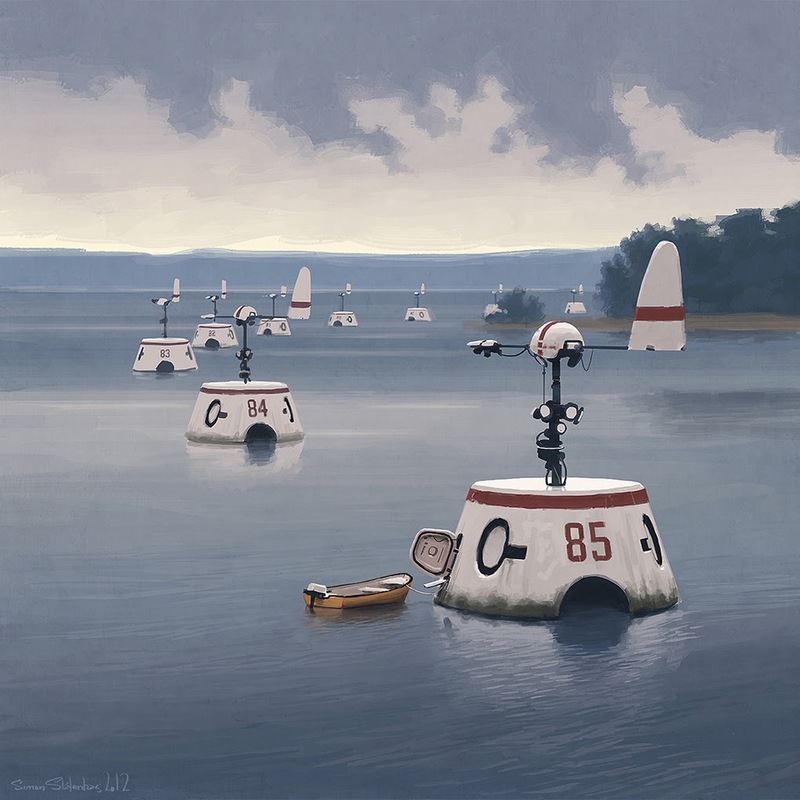 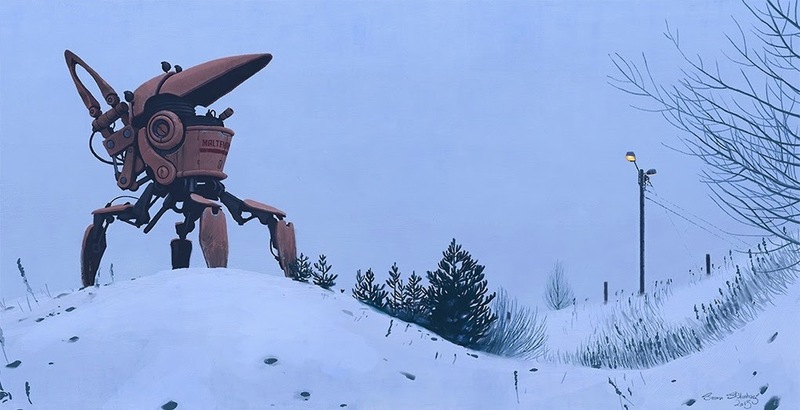 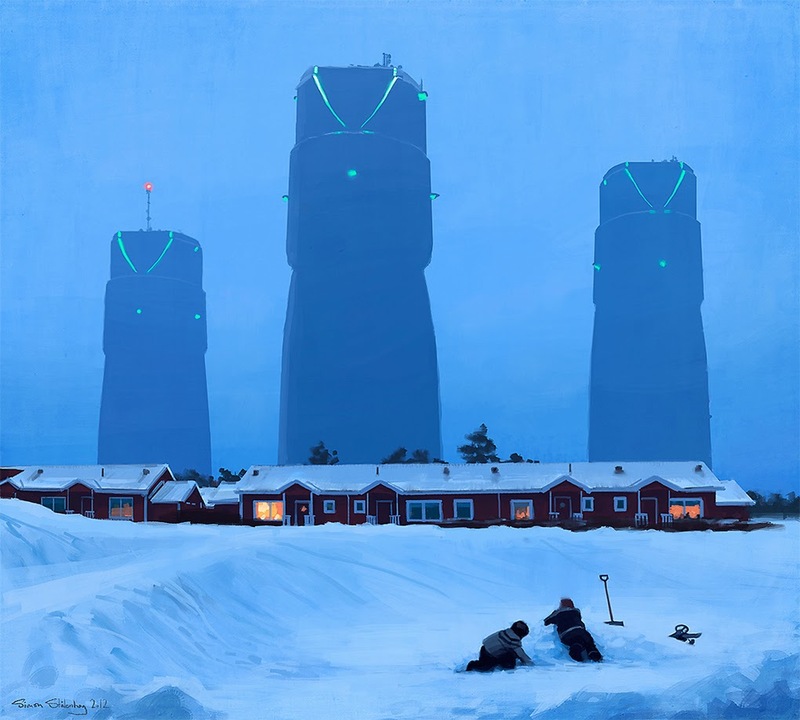 This is the world that exists in artist Simon Stålenhag's mind, and it's only accessible through his paintings. 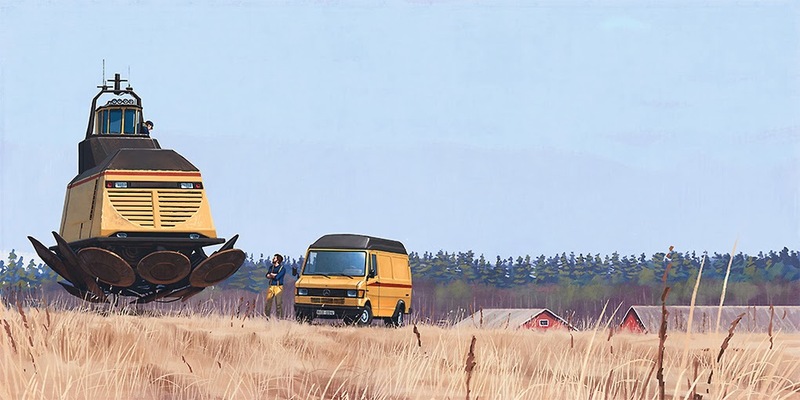 1 response to "Swedish Artist Reimagines What Sweden Looked Like In The 80s(20 Pics)"